Find a vacation home to rent in Sel Municipality from our list of vacation rental properties. Campaya has over 7 vacation homes available in Sel Municipality, which give you the possibility to locate a unique accommodation in Sel Municipality which completes your check-list in search for the perfect self catering vacation apartments in Sel Municipality or vacation villas in Sel Municipality. Welcome to this pleasant cabin located on a nice spot with several other cabins in the area, but still private. The holiday home is located in a quiet area. Spacious inside and with a almost separate bedroom area and a convenient kitchen. Nice fireplace that gives a good cabin feeling. 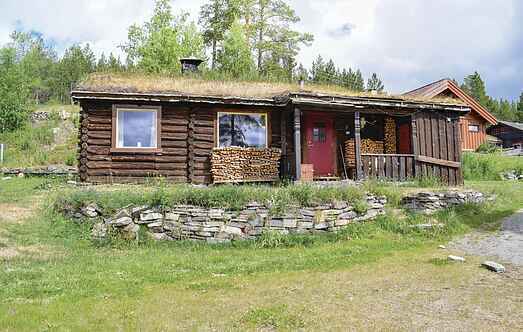 This cosy cabin is located in Heidal, where the old Norwegian Culture is still alive. The rafting and paddling river Sjoa is located 200 metres away. Beautifully situated on Bakketun, between the national parks of Jotunheimen and Rondane, you will find this holiday home. Mountain farm with beautiful location and view over the mountains. Close to the well known fishing- and rafting river Sjoa. App.